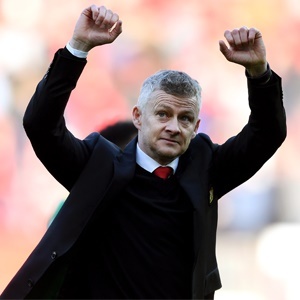 Manchester - Ole Gunnar Solskjaer believes Manchester United's remarkable recovery to eliminate Paris Saint-Germain in the Champions League last 16 has instilled a belief they can also end Barcelona's European dreams. "I can feel the tension, the excitement. I felt the mood ahead of PSG home game was different. We have learnt from that PSG game," said the Norwegian, who was appointed United's new permanent manager last month after a highly successful caretaker spell in charge. "Of course when you get Barcelona, with the quality of their team, we know we need to step up our game. "We know we need to perform to our best levels, which we didn’t against PSG at home. The outcome of the second leg against PSG has given the players and supporters belief that the same is possible against Barcelona." He is short-handed once more with Ander Herrera, Antonio Valencia and Eric Bailly absent through injury. However, Solskjaer is hopeful that Marcus Rashford and Nemanja Matic will be fit despite failing to take a full part in training on Tuesday. "He needed an extra warm-up and hopefully he won't get a reaction," said Solskjaer on Rashford's fitness. "Let's see tomorrow, but hopefully he can be ready." Paul Pogba will return from suspension after being sent-off in the first leg defeat to PSG. Pogba has yet to truly shine on the Champions League stage for United, but amid speculation that the French World Cup winner could be tempted by a summer move to Real Madrid, Solskjaer called on the club's record signing to focus on his job tomorrow and rise to the big occasion. "At Paul's best he can run a game like this," said Solskjaer. "Paul is looking forward to tomorrow. He is a Manchester United player and he is one of our big performers on the big stage.